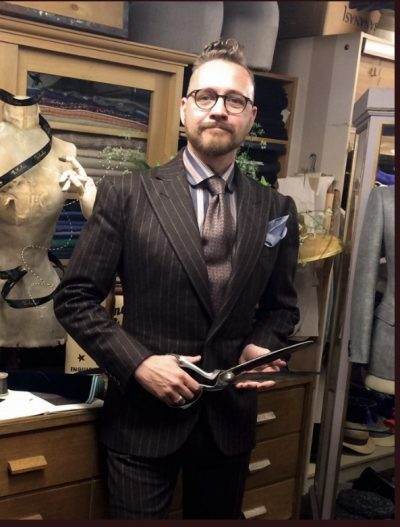 We are thrilled to be bringing Thomas von Nordheim to our shop to talk about his experiences as a couture tailor and to share with us some of the techniques he has developed for constructing finely tailored clothing. in the heart of Bloomsbury and has worked for numerous couturiers and cutting edge designers such as Ulrich Engler and Donald Campbell. 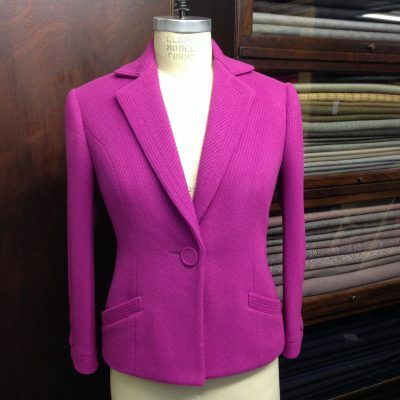 Thomas is an expert in translating sketches into patterns and toiles, and then to finished garments. In 2012 Thomas published his book “Vintage Couture Tailoring”. It is the only book on the market which explains, step by step, how a tailored jacket is built from scratch using traditional interfacings and construction techniques. Thomas will share how becoming a bespoke tailor has enriched his life and will be illustrating his techniques using some of his favourite pieces. To reserve your spot, please call (0)20 8332 6031, email gay@lovingthefabric.com or RSVP through Eventbrite. Tickets are £20 and space is limited!